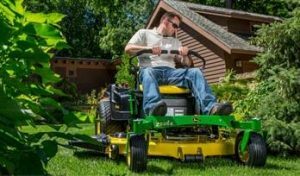 Revels Turf & Tractor is a trusted distributor of John Deere Residential Lawn & Garden products for Myrtle Beach, SC residents. As a longtime Myrtle Beach area business, we take pride in helping our neighbors maintain beautiful lawns. 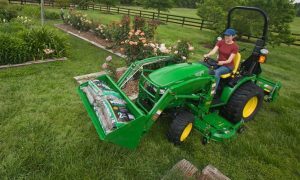 Browse our selection of John Deere Residential products below! Revels Turf & Tractor is a trusted distributor of John Deere equipment. For a limited time, customers can save $500 on the impressive line of 2015 Select Series Riding Mowers from John Deere. For the more expansive properties, Revels Turf & Tractor offers a range of Compact Utility Tractors from John Deere. Tackle residential projects of all kinds with this line of beautiful, durable tractors. 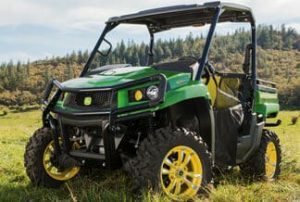 Conquer your piece of land with a Gator Utility Vehicle from John Deere. Engineered with durable materials and designed with comfort and style in mind, these Gators will help you maximize your property with versatility and confidence. Sometimes an average mower won’t cut it (literally). 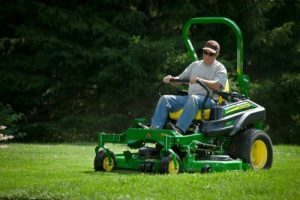 For the lawns requiring a bit more work, we offer Commercial-Grade Mowers from John Deere. These elite, zero-turn mowers are ideal for an efficient, accurate cut every time. Contact Us In Myrtle Beach!